I.S. Law Firm has expertise in all areas of immigration law. Our experience has taught us that working closely with our clients throughout the immigration process is essential to avoiding mistakes and ensuring the successful completion of their applications as quickly as possible. Immigration is one of the most complicated areas of law in the United States, in part because the laws and regulations governing it are constantly evolving. Minor mistakes in the application process can lead to delays, extra costs, and other unfavorable consequences. While some firms use the same forms and procedures for all clients, we treat our clients as individuals and take the time to carefully evaluate the specific laws that apply to each case. Not only do we take a unique, client-by-client approach to immigration cases, but we do so for a competitive, reasonable rate. We understand that immigration process could be complex and time consuming, this is why we strive to make the procedure for our clients easy and simple to understand. We will explain your options, tell you what we can do, how much it will cost, and dedicate all our resources, knowledge and skills to win your case. You can be assured that your case will be evaluated with thorough detail and attention to achieve the best possible outcome. We will work hard to provide you with clear and relevant information on your case so you can be confident in our expertise as well as the choices we make while trying to resolve your immigration matter. Can I work abroad or live abroad with green-card? I am a green-card holder and I received a job offer in another country. Can I work and live abroad for 2-3 years with green-card? Before departing for such a long time, you would have to apply for a Re-entry Permit. Re-entry Permit allows permanent residents to be absent from US for periods up to 2 years without abandoning their permanent residency in the US. Re-entry Permit will allow you to be out of US for up to 2 years and then return without questions about your lengthy absences still maintaining your permanent residency here. But you will still have to continue maintaining close ties to US and file taxes. One of the requirements for citizenship is “continuous presence” i.e. to be continuously present in the US as a permanent resident (i.e. after receiving her green-card) during the statutory period (3 years or 5 years) before you qualify for citizenship. If you depart the US for any period over 12 months, the clock for continuous presence will restart. Please note though that the last year of absence with a re-entry permit counts towards the continuous presence requirement. So, for example, if you returns to the US after 2-year absence with re-entry permit, then you will only need additional 4 years or 2 years (if marriage-based green-card) of continuous presence to qualify for citizenship. If you have more questions or would like to discuss this further, you can contact us to schedule a consultation with immigration attorney. I have not filed taxes every year I have been a Permanent Resident. Does this mean I am ineligible for citizenship? You are not automatically ineligible for citizenship, however, one of the important factors of obtaining approval for citizenship is displaying “good moral character.” One of the ways good moral character is determined is by paying taxes each year you were required to do so. Therefore, it is strongly advised to seek a tax expert to file your back taxes before applying for citizenship. This shows USCIS that you have continued efforts to display good moral character. If you owe back taxes, you can enter into a payment plan with IRS and show proof of such payment plan to the USCIS. Can I file for citizenship even if I was arrested for DUI? Not every arrest or charge will make you ineligible for citizenship. First, you must understand that being charged is not the same as being convicted. Only the crimes for which you were convicted or plead guilty will affect your eligibility for citizenship. But, let’s assume that you were convicted of DUI. How will it affect your citizenship case? the short answer is that, if you had only one DUI, luckily, you will still be eligible for citizenship, if you properly disclose the incident and provide proper records. If you have been convicted of multiple DUIs or DWIs or other misdemeanors, the answer depends on the circumstances of your case. If you have any charges or convictions, before filing for citizenship you definitely must consult with a qualified immigration lawyer. Even if you do not end up hiring a lawyer for the process, at least get a detailed consultation. Is it true that 3-year or 10-year immigration ban does not apply to J-1 or F-1 visas? Depends. There are two different notions, lawful status and lawful presence. One may lose his status, but remain in the period of lawful presence. A simple example is when someone applies for a change of status or when someone applies for asylum. During the pendency of the case, the applicant does not have a status but is lawfully present. If the change of status is denied, the unlawful presence begins to count. Why is it important to differentiate lawful status from lawful presence? – Because the applicability of 3 and 10 year bans under INA 212(a)(9)(B) and (C) depends on the length of unlawful presence, not unlawful status. Under INA 212(a)(9)(B), also known as 3-year ban, a person who spends more than 180 days but less than 365 while unlawfully present, will be banned from returning into the United States for the next 3 years, after she leaves the United States. But if the person accumulates more than 365 days of unlawful presence (i.e. spends more than one year in the US while unlawfully present), then he or she will be banned from returning into the US for the next 10 years. This includes even immigrant visa process (green-card process) through marriage to a US citizen. The ban becomes effective when the unlawfully present person leaves the US. For example, if someone who entered the US on a tourist visa, applied for asylum and then got selected for DV-lottery (i.e. won green-card in a lottery) during the asylum process, she may be able to obtain her green-card through a US consulate abroad. Whether she will be banned from returning will depend on the number of days spent in the US in unlawful presence. B-2 visitor is usually granted 6 months of lawful status, which in this case also means 6 months of lawful presence. If she applied for asylum before her B-2 visitor status expired and did not work without authorization while her asylum application was pending, then she did not begin to accrue any unlawful presence for the purposes of 3-year or 10-year ban. As such, she may be able to obtain her green-card through a US consulate. She cannot adjuster her status in the US, despite having a pending asylum case, because she does not have a lawful status. But she can leave the US and get her green-card through a US consulate abroad. Doing so will require many calculations and preparations, including possibly having to withdraw asylum application or, in the best-case scenario, obtaining an advance parole, so as not to lose her pending asylum case. In the case of B-1, B-2, H-1B, and many other visas, the alien begins accruing unlawful presence when they overstay the expiration date indicated in their I-94 arrival-departure document. The same date is also written by the CBP officer on the entry stamp in the alien’s passport, when she enters the US using one of those visas. This is the date by which the alien must leave the US or extend/change/adjust her status. However, in the case of F-1 and J-1 visas, the I-94 and the stamp in the passport do not contain a definite deadline by which the alien must leave the US. In such cases, the stamp shows “D/S”, which means duration of status. 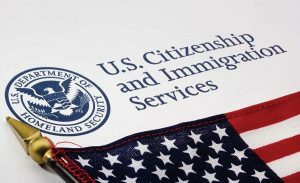 According to the USCIS’s policy, such individuals who have “D/S” instead of a definitive date in their I-94s, do not begin to accrue unlawful presence unless and until one of the following occurs: (a) she applied for change of status, which got denied; (b) she successfully changed her status to another status (e.g. J-1 to B-2), which had a definitive deadline to depart now expired; (c) the immigration judge ordered her removal. In all other circumstances, she continues to remain lawfully present in the US despite her previous status violations or overstay of her F-1 or J-1 visa. As such, an individual who overstays an F-1 or J-1 status, does not automatically begin to accrue unlawful presence for the purposes of 3-year or 10-year ban under INA 212(a)(9)(B) and (C). Note that in the case of pending asylum, if the applicant works before obtaining the work permit, the applicant begins accruing unlawful presence. The ban applies to all forms of immigration, including non-immigrant and immigrant visas and marriage-based green-card process through US consulates. Except in the case of an advance parole. See Matter of Arrabally, 25 I&N Dec. 771 (BIA 2012). When I became a Permanent Resident, I was supposed to register for the Selective Service. However, I was not aware of this requirement and therefore did not register before I aged out. Can I still file an application for citizenship? If you did not register because you were unaware of the requirement, or were made aware after you passed the age to register, you can submit an affidavit along with your application explaining the reason why you did not. You should also obtain a Status Information Letter from the Selective Service stating that you are over the age and are no longer required to register. You can do so by calling their hotline or filling out the application on the Selective Service System website. I would like to legally change my name. Should I do so on my application for citizenship, or after my citizenship is approved? The decision of when to file for a legal name change is ultimately up to you. There is a question on the naturalization application asking if you would like to change your name. You may do so this way, however, there is a slight chance it will take longer for you to receive your approved citizenship due to the fact that since you are also changing your name, your Oath Ceremony must be done in court, as opposed to any of the other locations also used for Oath Ceremonies. It is not guaranteed to cause a delay, but there is the slight chance as it is dependent upon the availability in your jurisdiction. You can also make the request at the interview, or after your Oath Ceremony. However, if you wait until after you are naturalized and then want to change your name on your Certificate of Naturalization, there will be additional fees to do so. I would like to apply for citizenship, however, I am elderly and it is difficult for me to retain new information. Can I be exempt from the language and civics exams for citizenship? Your qualifications to be exempt are dependent upon your situation. If you are in good health, you cannot be exempt from the civics exam. However, you can be exempt from the English language exam if you are 50 or older and have been a permanent resident for 20 years, or if you are 55 or older and have been a permanent resident for 15 years. If this is the case, your civics exam will be given in your native language. Now, if you have a medical disability in addition to your elderly age, you may be exempt from both exams if you can prove you are unable to comply. To do so, you must submit Form N-648, Medical Certification for Disability Exceptions. This form is completed by a medical professional and USCIS will determine if you can be exempt. After I entered the United States on B1/B2 visitor visa, the US consulate contacted me via e-mail and informed that my visa was revoked and cancelled. Does this mean I am now out of status? What should I do? The revocation or cancellation of your visa does not revoke your status. Visa and status are two different things. Your status continues until the date stamped in your passport when you entered. After you enter the United States, the duration of your visa in the passport does not affect the duration of your authorized stay. Even if your visa expires, you can stay in the US as long as it is shown on your Form I-94 and stamped by CBP officer upon your entry. So, to answer your question, as long as you leave before the status expires, you will not be violating your status. Now the issue you have is that, for some reason, the consulate is unhappy about your trip to the United States. Therefore, they are cancelling your tourist or visitor visa (B-1 / B-2). This usually happens when the consulate determines some negative or inconsistent information about you, your application, or your trip. For example, if during your visa interview or in your visa application you informed the consulate that you are planning to visit the US for a period of 2 weeks. Subsequently, after you enter the country, you spend several months here. If the consulate finds out, they will be upset and may decide to cancel your visa. Even if the consulate does not find out about the inconsistency in the intended length of your visit at this point, they will do so when you apply for a new visa and, in will probably deny your new visa at that time. Therefore, it is important to provide truthful and detailed information to the consulate about your intended trip. It also goes without saying that you must truthfully answer all other questions in the visa application. The same issue comes up often when the applicants do not provide information about their relatives in the US. When the consulate finds out, they get furious and often cancel visas. Finally, please note that, often consulates keep a close watch after the first-time visitors. This means that, for example, the consulate issues a visa to the first-time applicant, and then observes that applicant’s behavior and actions in the US. They can even follow your social media profiles for any photographs or other evidence of inconsistency with the stated purpose of your visit. I am a citizen of Azerbaijan and would like to apply for E-2 visa. Can I file for change of status or do I have to go back and apply through the consulate? The toughest part of E-2 cases from Azerbaijan is proving the source of income, because almost no one trusts banks or most individuals do not use bank accounts in Azerbaijan. Most transactions in Azerbaijan are made in cash. Even if it is a sale of real estate, the initial transfer of funds occurs through a bank account, but then the seller immediately withdraws the funds and stores it in the form of cash. Income and taxes are very poorly documented. The good news is that the consulate there is aware of those conditions. However, the USCIS here is not well aware of it and often denies change of status cases due to a lack of evidence proving source of funds invested. Therefore, I never recommend my clients from Azerbaijan to file for change of status, and instead, advise them to go through the US consulate in Baku. The consulate in Baku likes to receive copies of the supporting documents two weeks prior to the visa interview. Best of luck! Can I submit my Application for Naturalization (N-400) while my Petition to Remove the Conditions of Residence (I-751) is still pending? Yes, the processing times for I-751’s have been gradually increasing, to the point that they may still be pending once you become eligible to apply for Naturalization. USCIS allows Applicants to have both I-751’s and N-400’s pending at the same time. If the asylum officer is satisfied that you had provided false information in your visa application because you had no other ways to escape the risk of harm or to avoid persecution in your home country, then your asylum case will not be denied for this reason. According to the USCIS Asylum Officer’s Manual, the officers are instructed to not deny asylum applications solely based on the false information provided by the applicant during the consulate visa application or for gaining entry into the US. The officer is instructed to ask questions and to determine if the applicant lacks credibility. The key is to make sure to tell the truth when asked about the visa application. If you lied during your visa application, not everything is lost, and you may have an explanation. But if you continue lying at the interview, your asylum application will certainly be denied. In other words, when the officer asks you questions at the interview, you must come clean, give truthful information and honestly answer all questions at the asylum interview. Short Description: I.S. Law Firm has expertise in all areas of immigration law. Our experience has taught us that working closely with our clients throughout the immigration process is essential to avoiding mistakes and ensuring the successful completion of their applications as quickly as possible. Immigration is one of the most complicated areas of law in the United States, in part because the laws and regulations governing it are constantly evolving. Minor mistakes in the application process can lead to delays, extra costs, and other unfavorable consequences. While some firms use the same forms and procedures for all clients, we treat our clients as individuals and take the time to carefully evaluate the specific laws that apply to each case.